Farming with Poultry, Livestock or Vegetables? As a farmer, you need to be an expert in your field, and also require advanced planning, business management and labour relation skills. You also need to know how to market your produce. To be sufficient in all these disciplines, you need both theorical knowledge and practical experience. In addition, your workers also need special knowledge and skills to contribute to the overall success of your farming activities. In the Agricultural sector, especially in Horticulture (tunnel and hydroponics), we saw the lack in skilled and trained farmers and farm workers. With the training we offer, our main goal is to equip you and your workers with the right skills and knowledge to help make your business a success. 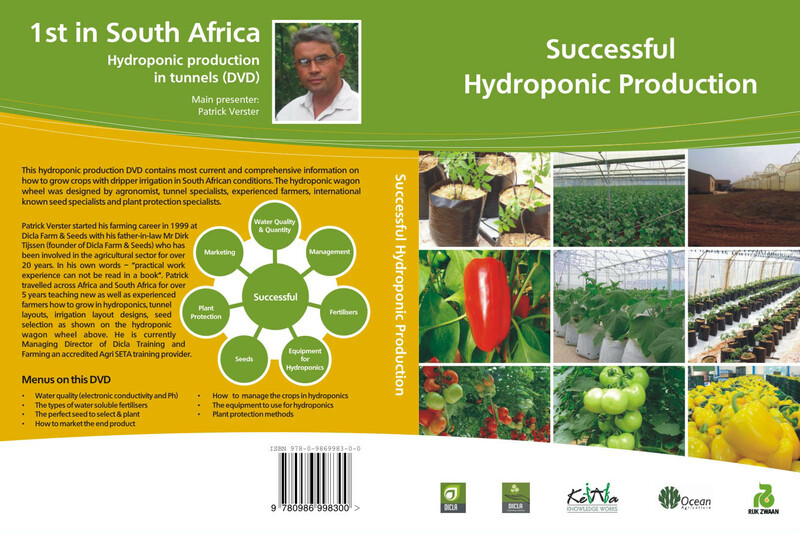 We can teach you how to grow crops in tunnels or green houses, or under shade nets or on open land. You will also learn how to protect your crops, irrigate and harvest them and how to find the right market for your products. We also offer a course for tractor operators. For poultry farming, we focus on broilers and will teach you everything - from erecting broiler units, to administering vaccines. Our animal production course focuses on record keeping, ensuring optimum health for your animals and how to perform basic procedures. 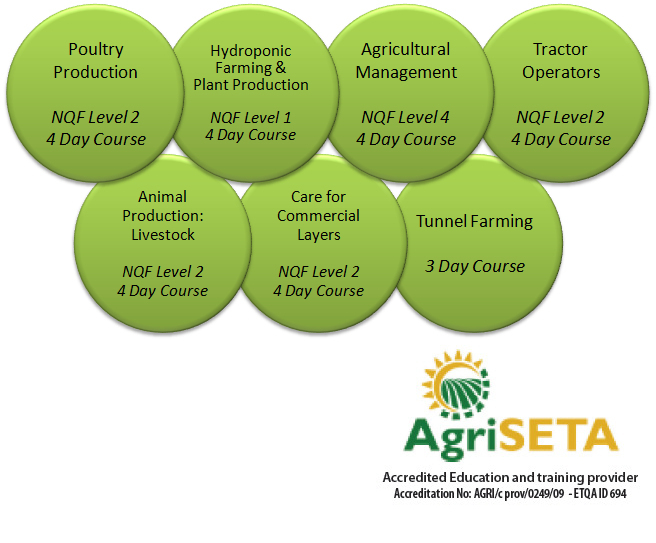 All our courses are SAQA accredited and registered with Agri SETA. Please view our courses by using the navigation menu above, or click on any of the links below.